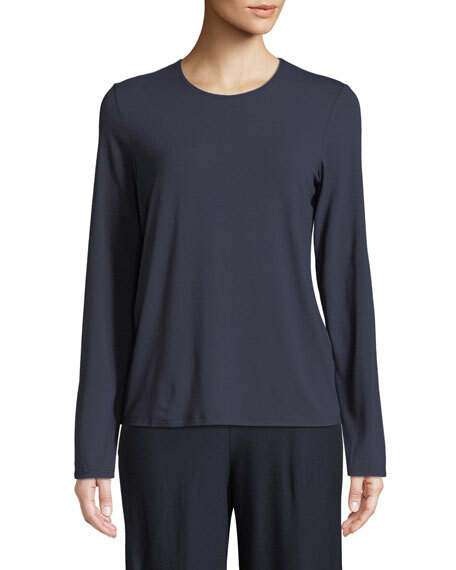 Eileen Fisher stretch jersey tee, available in your choice of color. Approx. measurements: 20"L from shoulder to hem, 23"L down center back, 25"L sleeves. 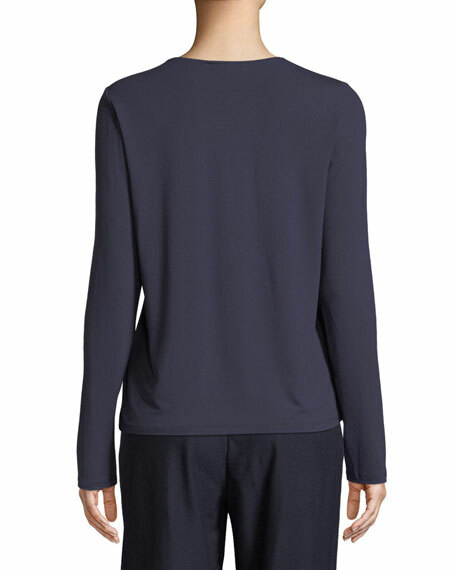 For in-store inquiries, use sku #2465655.